A Kings Point man stole nearly $2000. Freeport, NY - December 17, 2013 - Crimes Against Property Squad detectives report the arrest of a Kings Point man for grand larceny that occurred in Freeport on 09/26/12 at 9:00 A.M. According to detectives, Jerry Hauser, 56, of 8 Catalina Dr., collected a check in the amount of $1,940 payable to a male victim, forged the signature and then deposited it into his own bank account, causing the victim to suffer a loss. Additionally, Hauser engaged in an ongoing scheme to rent houses and not pay any rent. Beginning March 2010 the defendant rented houses in Jericho, Syosset and Kings Point and failed to pay rent to the landlords. 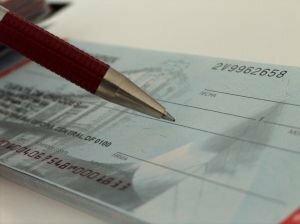 Instead he gave them numerous checks, which would then be returned marked non-sufficient funds. The defendant caused the victims to suffer a loss in excess of $50,000. Crimes Against Property Squad detectives arrested Hauser at his residence on Monday 12/16/13. He is being charged with Grand Larceny 3rd Degree, Grand Larceny 4th Degree, Defraud 1st Degree and will be arraigned on Tuesday, 12/17/13 in First District Court, Hempstead. Subject: LongIsland.com - Your Name sent you Article details of "NCPD: Arrest Made in Freeport for Grand Larceny"